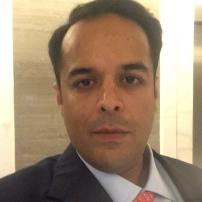 Vishal Mehra is the President of Sanghvi Brands, heading Global Development for all its premium international brands like L’Occitane Spas, Spa by Clarins, Rosanno Ferretti, Warren Tricomi, Elle Spas & Salons across India, Middle East, Indian Ocean and the USA. In the 5 years that Vishal has been with Sanghvi Brands since its startup stage, he has successfully signed over 70 Partnerships Globally across Luxury Hotels & Leading Luxury Residential Developers across several regions globally. Sanghvi Brands as of November 2017 is the First Spa Company Globally to be listed on a National Stock Exchange.